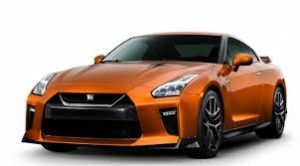 The high-octane adrenaline junkies across the nation felt overwhelmed with joy when Nissan finally granted their wish by bringing in the Nissan GT-R to the Indian shores. Being fondly addressed as the ‘Godzilla,’ Nissan GT-R has gone on sale in the Indian market for the first time ever. The Nissan GT-R variant presented in the country is the European spec Premium Edition. It originally broke cover at the New York International Auto Show in March 2016, with fresh styling and an updated cabin. The driving dynamics were improved too for enhanced performance. Nissan has positioned the GT-R as a halo product in its portfolio, while it would be retailed as a CBU (Completely Built-up Unit). It will be sold exclusively through the Nissan Dealership in Noida, National Capital Region (NCR). Nissan GT-R would challenge the likes of Audi R8 V10 Plus, Lamborghini Aventador and Ferrari LaFerrari in the Indian market. Just so you know, the 2017 Nissan GT-R is produced at Nissan’s state-of-the-art plant in Tochigi, Japan. Nissan GT-R price, as vastly expected, is Rs. 1.99 Crore (Ex-Showroom) in the Indian market. The Nissan GT-R has been around for a decade now – that is almost thrice the average lifetime of the Skyline GT-Rs that preceded it. But despite that age, there is still something very attractive about the GT-R’s design. It was inspired by the Japanese anime and probably that explains why this is a timeless design. This inspiration also gives it quite expressive eyes, though the detailing is now more complex with its distinctive lightning-bolt shaped running lamps. The car has lost a bit of its elegance with all the redesigned aero bits like the front and rear splitter, new air dams in the front bumper and the bling of the chrome grille. The tail still remains the most beautiful angle on the Nissan GT-R, neatly integrating a fixed spoiler and the trademark quadruple tail lights. Ironically, the rear three quarters of this car were designed by Nissan’s American outfit. Though there is now a hint of aggression on the face, the GT-R still appears like a restrained beast. If you are into cars with outrageous wings, fins and intakes, the GT-R may not look as appealing to you. But its understated design has its old-school charm. It belongs equally well on the road as it does on the track. What appeals most to me is that it has an unmistakable sportscar form but doesn’t look completely outlandish. At first glance, the 2017 Nissan GT-R’s interior doesn’t look much different from previous years, but there are some distinct improvements. There are far fewer switches and buttons now, with many replaced by a knob on the center console that controls infotainment functions. The high-mounted screen is also an inch larger than before. Familiar features include numerous infotainment menus that are devoted to performance, along with data playback that rivals the telemetry used by top race teams. It’s also worth noting that the mere act of getting in and out is as straightforward as it is in a typical passenger car. Many sports cars in this class require awkward contortions, but with the GT-R you just hop in and drive. The front seats are notable for their support and comfort over long distances, though it’s disappointing that the passenger seat has fewer adjustments. The rear seats are small and best left to children or cargo. The trunk is deep, but the high liftover height and narrow opening hamper loading. Capacity is limited to 8.8 cubic feet, and the rear seatbacks do not fold forward. As with previous models, the 3.8-liter, 24-valve, twin-turbo V-6 is the heart of the car. It’s still handcrafted by a specific technician, but output has been increased by 20 horsepower and four pound-feet to a total output of 565 horsepower and 467 pound-feet of torque. To obtain the increase in power, boost from the turbochargers has been increased, and the ignition timing for each cylinder is now individually controlled, creating more precise overall ignition timing. Power is routed to the wheels through a refined six-speed, dual-clutch transmission that is said to shift smoother and create less noise than last year’s model. In addition to the engine and transmission updates, the exhaust system has been replaced by a new, lightweight titanium system that features Active Sound Enhancement. This means the sound produced by the exhaust is even better than before, and as you can imagine, it sounds best during hard acceleration. The increase in boost pressure combined with the new exhaust system and the cylinder-specific ignition timing helps the GT-R accelerate even harder than before from 3,200 rpm and above. With the more rigid body structure, the GT-R also boasts a new suspension system, as well as new 20-inch, 15-spoke forged aluminum wheels. The new wheels, suspension, and rigid body structure means the GT-R can now hold the road surface a little better than before, and it has better stability when performing extreme maneuvers or negotiating your favorite corners at high speed. Nissan didn’t elaborate on performance numbers, but with the 2016 model hitting the 0-to-60 mph sprint in 3 seconds, expect the 2017 GT-R to hit the benchmark in 2.9 seconds. Top speed will likely remain the same at 196 mph. The secret potion for the Nissan GT-R is the chassis balance and its all-wheel-drive system. The latter uses a unique rear-mounted transaxle that not only reduces load on the driveshaft but also allows up to 50 per cent torque to be sent to the front wheels to aid performance or stability or both. The speed and accuracy of the AWD system is unreal, and it feels as if the GT-R knows beforehand how much traction and torque distribution is required for an upcoming curve. The dynamics, therefore, don’t get upset easily and that also means that the electronics don’t need to intrude often. The GT-R doesn’t have the magical precision of a 911, but the handling is predictive, hard to falter and a lot of fun. By placing the transmission and AWD transfer case at the rear, the GT-R achieves excellent weight distribution too. Left to right transitions are quick and flat. Throw her around a racetrack and you will be surprised at how light and agile the GT-R feels as compared to its bigger-engined rivals. You will also spend hours trying to figure out what the GT-R’s limits are even on its road-biased tyres. And we aren’t even talking the Nismo yet. It is only around really tight switchbacks that the GT-R shows a slight tendency to push the front into understeer.The fully adjustable Bilstein DampTronic suspension has been made more road friendly now – offering almost the BMW 5 Series levels of ride on our roads. The suspension is also less noisy from what I remember of the previous model on the European B-roads. Nissan GT-R comes with several first-grade safety features, such as Anti-lock Braking System (ABS), Electronic Brake-force Distribution (EBD), Traction Control System (TCS), Vehicle Dynamic Control (VDC), Tyre Pressure Monitoring System (TPMS), 6 airbags, seatbelt pre-tensioners, etc., to name a few.Even the entry-level GT-R comes with six airbags, keyless start, 20in wheels, LED headlights and parking sensors all round as standard, as well as an infotainment system with eleven speakers, DAB radio and SD-based satellite navigation. It’s exactly the kind of generous kit offering commonly used to keep a car like this attractive as it gets a bit long-in-the-tooth. The Nissan GT-R price in India is Rs. 1.99 Crore (Ex-Showroom) and needless to say, it would have extremely limited buyers. It is a true supercar in every sense and a halo product in Nissan’s product portfolio in India. If, somehow, the company manages to retail the supercar in double digits in the country, it would indeed be a feat in itself.